Both Apple and Google are in deep water when it comes to respective app stores in China. While the Google Play Store faces a ban in the country – something it is trying hard to change – App Store is not doing that great either despite the hype for each generation of iPhone in the country. And to add to the troubles of both American companies is the owner of popular communications platform WeChat and China’s biggest internet company, Tencent. Tencent is now looking to seize the sizable dominance of Google and Apple on the Chinese app space by offering mini versions of applications that run solely within the WeChat ecosystem. The company has overhauled the WeChat interface to support apps smaller than 10MB that can run on the chat platform alike on both Android and iOS. These mini apps are not meant to replace full-fledged app, but they are designed in such a way that the users can utilize the best features from within WeChat. Moreover, transactions within mini apps take place through Tencent’s servers and not from Apple’s which charges a 30 percent premium from developers. So in a longer run, as these mini apps are independent of the app, they pose a threat to the revenue Apple or Google makes from these apps. The mini apps programme has attracted nearly 1 million developers and the platform currently offers as many as 580,000 mini apps. Of the total 980 million WeChat users, nearly 170 million already use mini apps per month. The applications range from music and video streaming services, photo-editing, games, and free Wi-Fi, while e-commerce is the most lucrative category for developers and users. A good share of international brands such as KFC, Coach, McDonald’s already have mini versions of their applications designed for WeChat. 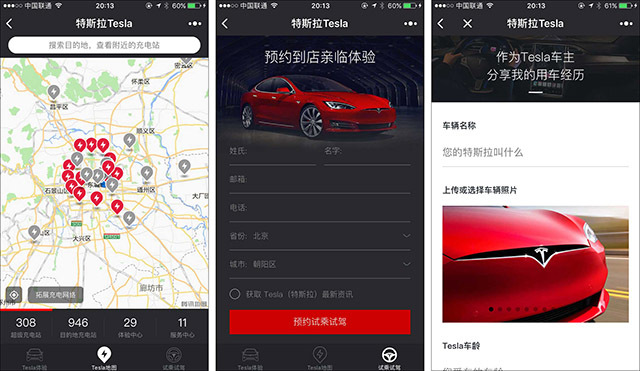 Even Tesla, which has a billion-dollar revenue in China and has Tencent as one of the biggest backers, also has an app for the WeChat ecosystem that allows users to monitor and maintain the acceleration rates of their electric rides. Apple, despite its long resistance to apps which have a store-like interface, recently reached an agreement with Tencent over these mini apps. Google is not in a position to quarrel over user shares and is hoping to recover some revenue through games – the most popular category on WeChat – and also Tencent’s major focus. It is very difficult to cram the entire game into 10MB bundles and this pulls users towards other third-party stores (Google Play Store for non-Chinese users). Tencent’s rivals – Alibaba and Baidu – have similar offerings but the popularity of WeChat in China, besides the small size of apps, gives WeChat mini programs a stronghold of the Chinese market. Further, it could counter Android Oreo (Go Edition) which is resized version of Google’s operating system for data-strapped markets.